Sri Lanka’s National Mobile Service Provider, Mobitel, unveiled Apple’s Next Generation of iPhones on the 16th November 2018 at X Station at midnight. Celebrating its partnership with Apple, one of the world’s strongest brands, Mobitel spared no attention to detail to organize a fitting launch for the eagerly-awaited latest Apple iPhones. 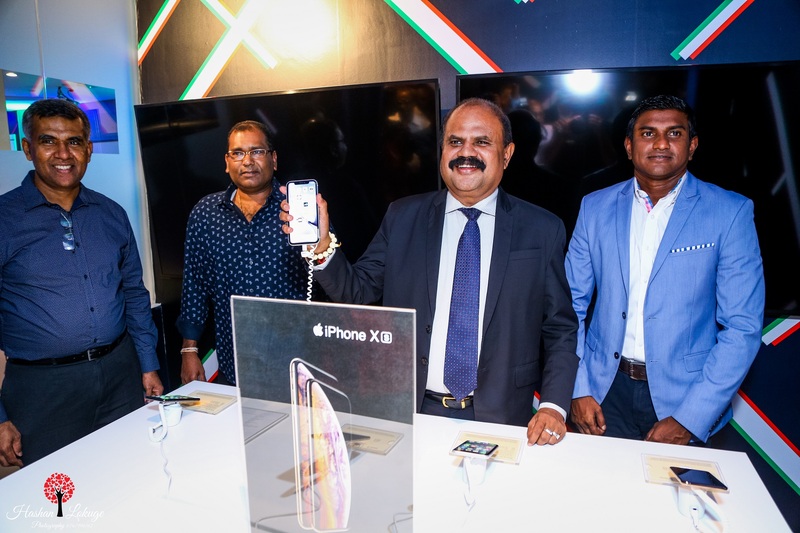 At the event, Mobitel unveiled Apple’s iPhone XS and iPhone XS Max, the most advanced iPhones ever, as well as iPhone XR, bringing the latest iPhone innovations to more people in Sri Lanka. Mobitel launched the 3 iPhones with a special pre order offer of a bundle of free accessories which comprise of wireless ear buds, wireless charger, 10000mAh power bank and a Bluetooth speaker to all customers that purchase a device from Mobitel. Customers will also receive a data bundle of 4GB monthly for 12 months from Mobitel. iPhone XS and iPhone XS Max feature a Super Retina display with custom-built OLED panels for an HDR display that provides the industry’s best color accuracy, true blacks, and remarkable brightness. Advanced Face ID lets you securely unlock your iPhone and log in to apps with just a glance. The A12 Bionic chip with next-generation Neural Engine uses real-time machine learning to transform the way you experience photos, gaming, augmented reality, and more. A breakthrough 12MP dual-camera system takes your portraits to the next level with Portrait mode, Portrait Lighting, enhanced bokeh, and all-new Depth Control. With iOS 12—the most advanced mobile operating system—with powerful new tools that make iPhone more personal than ever. iPhone XR features the most advanced LCD in a smartphone—a 6.1-inch Liquid Retina display with industry-leading color accuracy and an innovative backlight design that allows the screen to stretch into the corners. Six stunning new finishes. Advanced Face ID lets you securely unlock your iPhone and log in to apps with just a glance. The A12 Bionic chip with next-generation Neural Engine uses real-time machine learning to transform the way you experience photos, gaming, augmented reality, and more. A breakthrough 12MP camera system with Portrait mode, Portrait Lighting, enhanced bokeh, and all-new Depth Control. With iOS 12—the most advanced mobile operating system in the world—with powerful new tools that make iPhone more personal than ever.